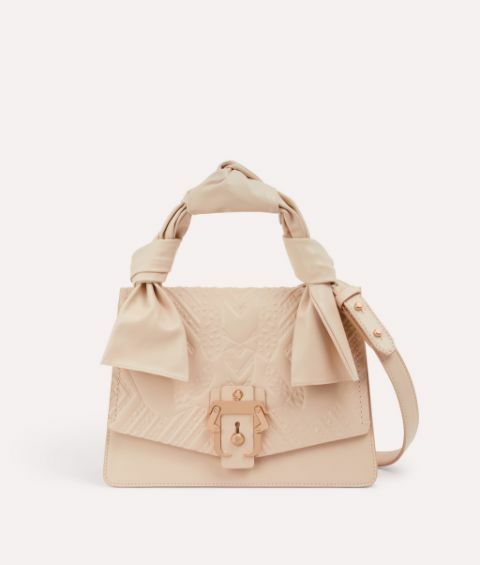 Petite Arianna perfectly balances its neat structure with a sculpted knot design for a beautiful blend of bohemian attitude and sleek sophistication. 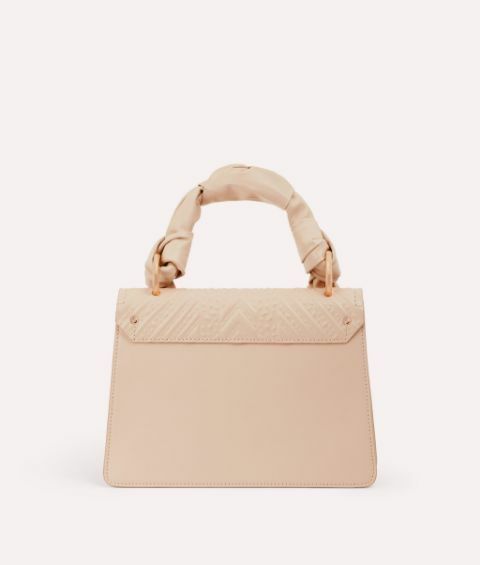 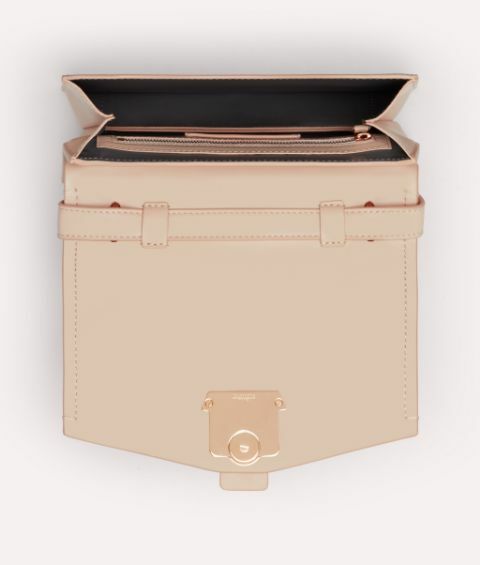 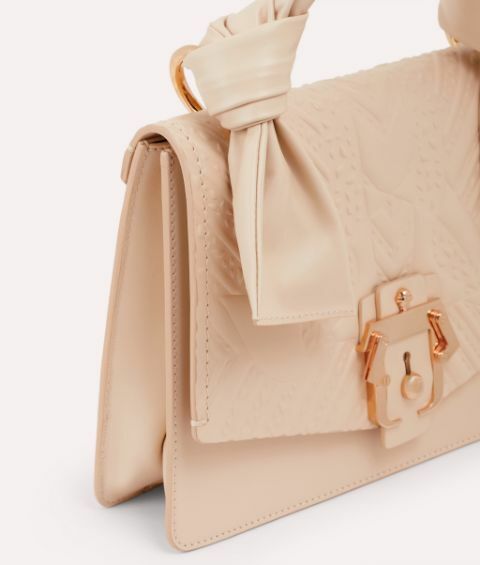 Made from subtle shell-beige leather with a signature geometric metal Paula Cademartori buckle, this compact piece exudes ageless femininity with modern appeal. 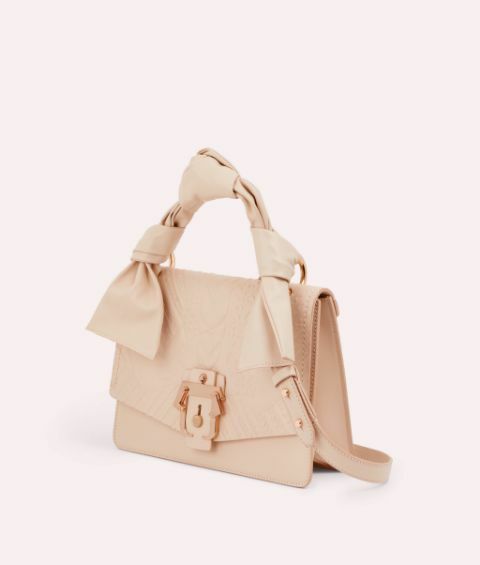 Use the detachable strap to go hands free or carry it by the tactile handle to suit your look.